More than 50 vendors will be present for the first event of the season, taking place on May 27 from 9 a.m. – 4 p.m., including local favorites like Hides and Stitches, Albright Lavender Farm, Pink Lemonade, Cutie Pie Craft, Third & Co. Studio and more. 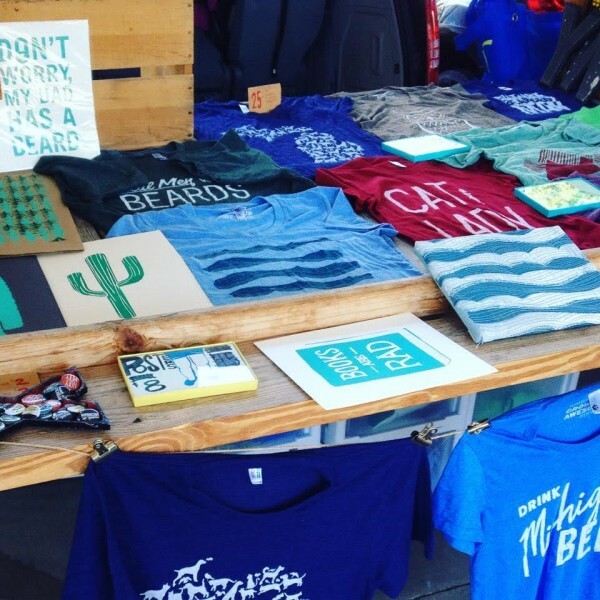 Beginning next weekend and continuing through the summer, the Grand Rapids Downtown Market welcomes back their second year of the Made in MI Pop-Up Marketplace for entrepreneurs, artisans and artists. The Made in MI Pop-Up Marketplace focuses solely on Michigan-made goods such as home decor, jewelry, clothing, art, food items and plants. More than 50 vendors will be present for the first event of the season, taking place on May 27 from 9 a.m. – 4 p.m., including local favorites like Hides and Stitches, Albright Lavender Farm, Pink Lemonade, Cutie Pie Craft, Third & Co. Studio and more. With a rotating roster of over 120 vendors for the season, guests will be sure to find something new and different at each monthly Made in MI Pop-Up Marketplace. The Downtown Market’s mission is to be a dynamic public space for all people, providing access to local food, improving community health and as a platform for entrepreneurship and jobs in the city of Grand Rapids. Events like the Made in MI Pop-Up Marketplace and Vintage Market align with that mission by providing a community gathering place and supporting small businesses. The Made in MI Pop-Up Marketplace is open to any vendors with Michigan-made and grown artisan products, and will continue on the fourth Saturday of every month from 9 a.m. – 4 p.m. through September, under the Market Shed. More info: http://madeinmipopup.com or http://www.facebook.com/madeinmipopup.